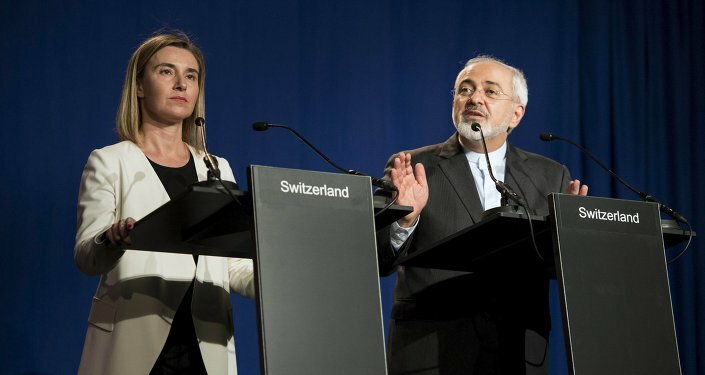 WASHINGTON (Sputnik) - The EU is considering how to protect its companies in Iran as well as retaliatory measures in the wake of the US pullout from the Joint Comprehensive Plan of Action (JCPOA), French National Assembly member Delphine O said in remarks at the Atlantic Council. "There are a number of options that we are looking at and I think those options fall into two categories. First category would be how do we simply protect our interests? How do we allow our companies to continue to do business in Iran [and] to invest in Iran?" the lawmaker said on Tuesday. "How do we shield them from the secondary sanctions?" The second category, she added, is how to retaliate against US actions that affect European companies and whether the EU should also put in place extraterritorial measures. O stressed that the message that they would like to convey is that the EU would rather focus on the first category and not have to resort to the second. Delphine O also told Sputnik that Tehran's idea for settling transactions with the EU in euros was worth looking at in light of the US government’s withdrawal from the Iran nuclear deal and re-imposition of sanctions. "Yes," O said on Tuesday when asked if Iran’s initiative was worth considering. "We will look at any mechanisms that would allow us to trade in euros and not in dollars in order not to be affected by the [US] secondary sanctions… We would look into European Investment Fund that would also protect our companies. So, we would look at all sorts of options that we have." 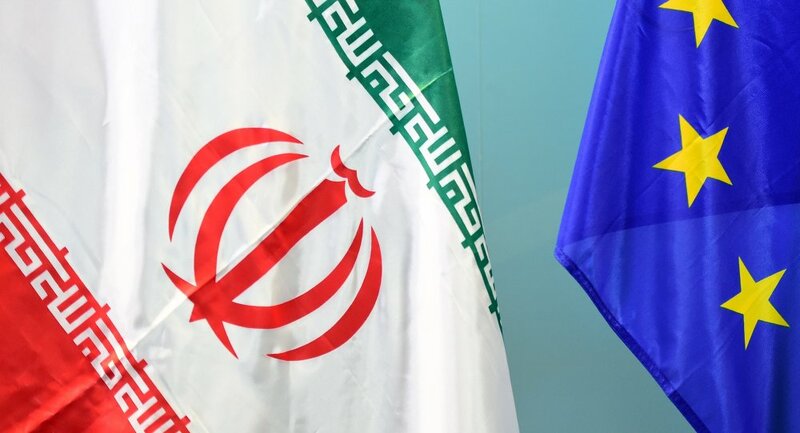 On Monday, Iranian Ambassador to Germany Ali Majedi said Tehran has taken steps to establish a bank to settle EU transactions in euros to avoid US measures in the wake of Washington’s exit from the nuclear accord. 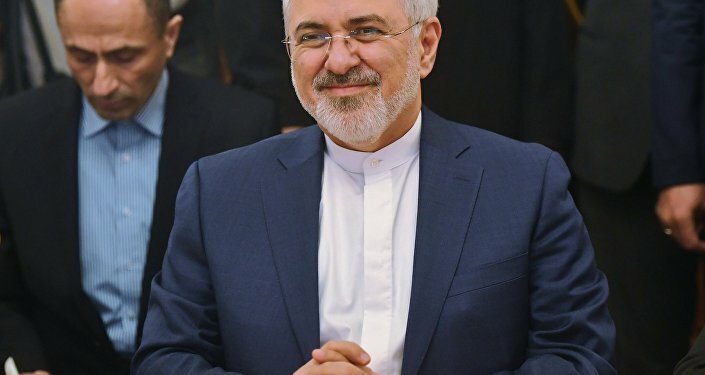 Majedi said that the creation of such a bank would allow Europeans to continue trade with Iran, as well as with Russia, which is also under the US sanctions. The Iranian diplomat suggested that this bank could be private, and added that it would be based in Germany. US President Donald Trump announced the US withdrawal from the JCPOA last Tuesday and outlined plans to re-impose sanctions on Iran which had been lifted as part of the accord. Other signatories to the JCPOA, however, criticized Trump’s decision to unilaterally pull out. The JCPOA — signed by Iran, the P5+1 and EU in 2015 — requires Tehran to maintain a peaceful nuclear program in exchange for sanctions relief. Iran has been in full compliance with the terms of the JCPOA as verified in 11 International Atomic Energy Agency (IAEA) inspection reports released since the deal’s inception.